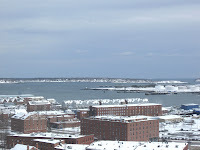 This was the commanding view of Portland Harbor and Casco Bay Mrs. Trashpaddler and I enjoyed the past few days. 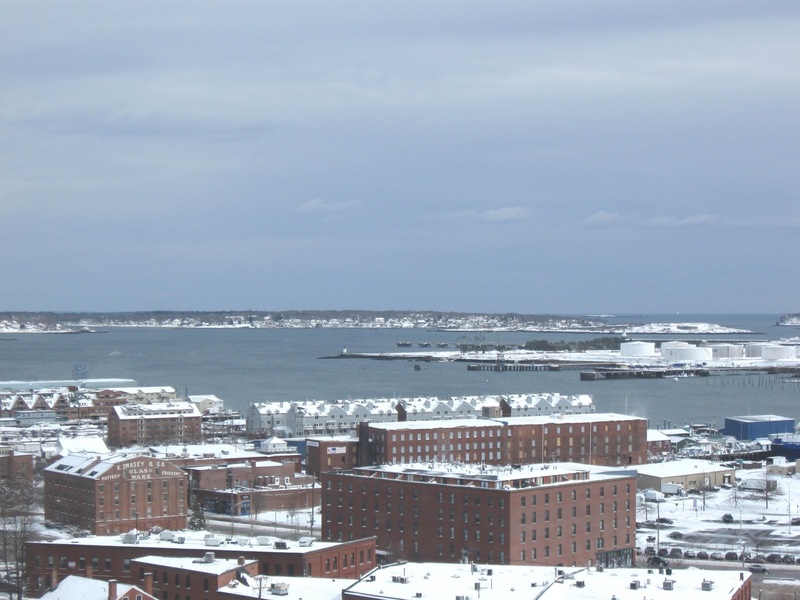 From this vantage point, we watched as ships entered the port, aircraft approached the airport, and a Friday storm blanketed the city with a fresh coat of snow. Throw in a Saturday morning sunrise, some nice views of the waning "Snow Moon", great seafood, several swims (in a hotel pool), some sauna time, seeing a great movie ("The King's Speech"), and you have the ingredients for a simple New England winter getaway. It wasn't exactly tropical but it sure was a nice time!